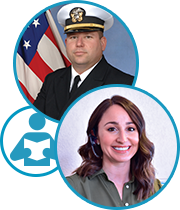 Our patient advocates are here to answer questions about your unique diagnosis, discuss treatment options, provide support and educational resources, offer legal guidance, help file a Veterans Affairs claim, and match you with top specialists. 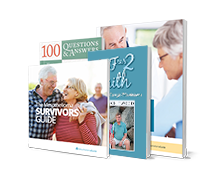 Our goal is to restore hope for mesothelioma patients and their families. Mesothelioma is a rare and aggressive cancer that forms in the protective membranes around the lungs, heart and abdomen. Asbestos exposure is the primary cause of this cancer, which can take between 20 and 50 years to develop. 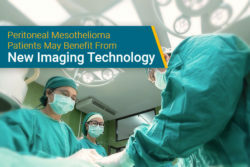 If a patient experiences symptoms potentially caused by mesothelioma, doctors will order a series of blood tests, diagnostic scans and biopsies to determine the patient’s diagnosis. Exposure to asbestos fibers through inhalation or ingestion is the only proven cause of mesothelioma. Common risk factors include: occupational settings, military service and secondhand exposure from family members. Symptoms of mesothelioma can take decades to appear. Many are similar to those associated with common illnesses like the flu, pneumonia or irritable bowel syndrome, making the cancer difficult to detect at early stages. 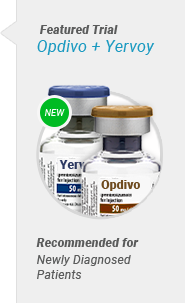 There are several treatment options available to patients. These include surgery, chemotherapy, radiation therapy and immunotherapy. Depending on the diagnosis, doctors will often combine these treatments in a multimodal therapy plan. Surgical options are available to patients with all stages of mesothelioma. These surgeries are often combined with other treatments like chemotherapy or radiation, which can increase overall life expectancy. Chemotherapy is the standard treatment for all patients diagnosed with mesothelioma. Intraoperative techniques and new combinations of chemotherapy drugs have improved a patient’s prognosis. 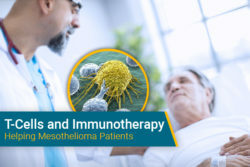 Radiation therapy is an effective treatment for early or late-stage mesothelioma patients. It can be used intraoperatively or as a non-surgical option to shrink or halt the progression of tumors. Immunotherapy, photodynamic therapy and virotherapy are emerging treatments being used in clinical trials. While many of these therapies require further testing, early studies have shown great promise for patients. Remember that your prognosis is merely a prediction. There are several ways patients can improve their condition. 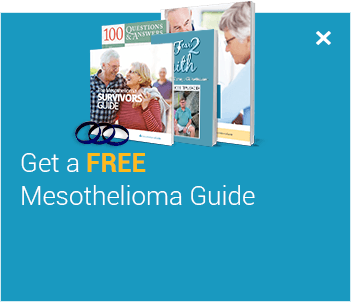 The most important step is seeking out a mesothelioma specialist. 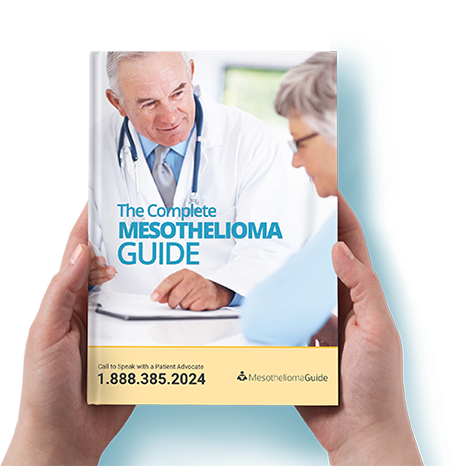 Life expectancy is the estimated survival time for patients diagnosed with mesothelioma and is based on factors like the stage, cell type and location of the tumor. The life expectancy of a patient often ranges between 12 and 21 months. There are several compensation options for people diagnosed with mesothelioma due to their asbestos exposure. 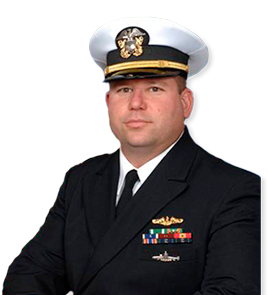 Options include: legal claims, Social Security disability claims, and Veterans Affairs (VA) claims. Most patients are hesitant to file a lawsuit, fearing that their case might take too long to be resolved. However, the majority of mesothelioma claims are settled out of court and an experienced lawyer will work hard to expedite legal proceedings. For decades, asbestos manufacturing companies knowingly sold the toxic substance to the military and industries across the United States. When the government stepped in to restrict its use, these manufacturing companies went bankrupt and were ordered to set up trust funds to compensate victims of asbestos-related diseases. Finding an experienced doctor who is familiar with a wide variety of treatment options is essential to beating mesothelioma. Qualified doctors can be found all over the country, and our Doctor Match Program can help match you with the best specialists and cancer centers based on your diagnosis. Since asbestos was used widely in the military, veterans account for one-third of all mesothelioma cases. Our Veterans Department provides specialized benefits assistance options to veterans and their families affected by mesothelioma. 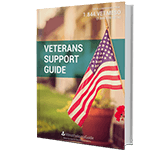 Several VA benefits are still available even if the veteran’s exposure was not service-related. Veterans are entitled to benefits through the VA.
A mesothelioma diagnosis can feel like an emotional and financial burden. Thankfully, there are resources available to patients, including discounted lodging rates, support groups, financial assistance and community services. 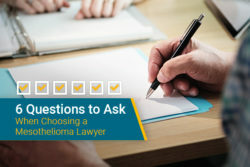 Caring for someone who has been diagnosed with mesothelioma can have its own unique challenges. A caregiver’s responsibilities often include monitoring the patient’s health, providing companionship and supporting them throughout the decision making process. Last Edited: April 4, 2019.